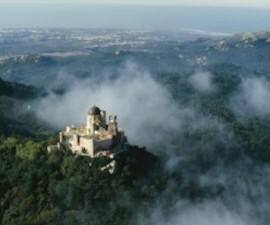 Sintra’s palaces, castles, monasteries and fairy tale landscaped gardens are a feast for the eyes, an indulgence of pleasure that fills your senses as wholly and completely as the most exquisite delight of gastronomy. But there is plenty of food to tempt the taste buds too in Sintra, from delicious local wines and freshly baked pastries to gourmet extravagances that leave you begging for more. Begin your day of gastronomy by passing on your hotel buffet breakfast and setting out instead to discover the freshly baked local bread and pastries that are so popular with locals and visitors alike. 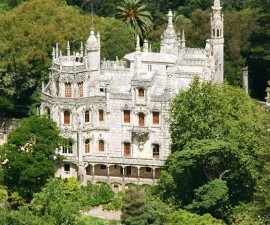 There is a strong tradition of baking and candy making in Portugal, and Sintra is no exception. 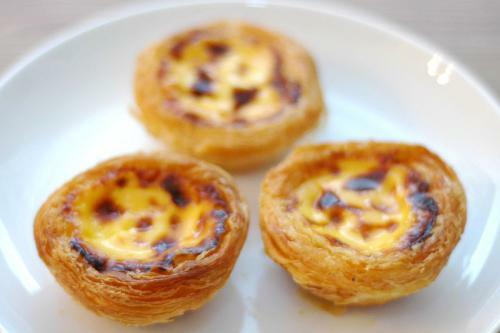 Head to one of the many town-centre bakeries and ask for a Pastel de Nata or choose from the filled savoury or sweet pastries that line the display cabinets afresh every morning. 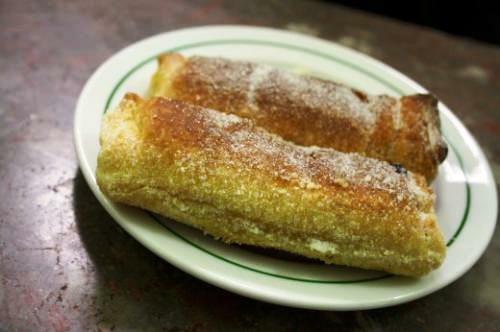 Also, take a chance on trying the Travesseiro de Sintra, a traditional pastry with a secret recipe that has been freshly made on a daily basis for generations and generations. A good strong coffee and a freshly squeezed orange juice is the perfect accompaniment, setting you up for a day of sightseeing and gastronomy in this romantic town and its surrounding areas. Winemaking in Portugal goes back for centuries and the many wines grown throughout the regions display a flair and delicacy that is appreciated by wine lovers all over the world. The Colares denominated region is located just to the west of Sintra in the area where the rolling green hills give way to the cliffs and sand that flank the eastern coastline of the Atlantic Ocean. There is a distinct microclimate here, where the Sintra hills and maritime landscape meet, that is perfect for vine cultivation and wine making. The Colares Wine cellar is the perfect place for a morning of exploration, history and wine tasting and formal tours can be arranged throughout the year. The Colares wines date back hundreds of years to the times of the area’s major influential literary figures including Eça de Queirós and Lord Byron. The nature of the sandy soil and maritime climate is such that the vineyards need careful attention and manual working, with the result that many of the traditional wine-making methods are still in use here today. The native grape varieties that are grown here, including the Ramisco and Malvasia de Colares are highly sought after, ensuring each and every bottle is something of a collector’s item. 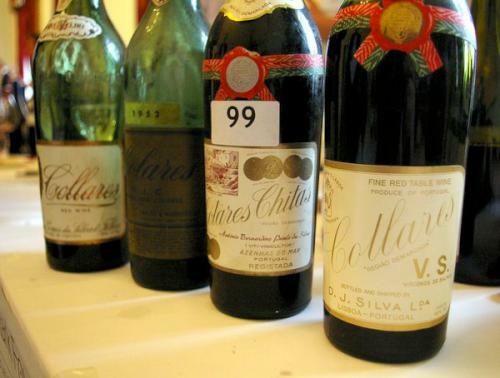 The Colares Wine Cellars were founded in 1931 and are responsible for around half of the region’s wine production. The buildings themselves make for an enjoyable few hours of exploration, enhanced of course by the opportunity to learn more about these interesting and sought-after wines – and of course tasting a good many too. With your taste buds tingling and ripe for more wine, head to the seafront at nearby Praia das Maçãs to sate your appetite with some tasty seafood washed down by a bottle of the local white. Praia das Maçãs offers several restaurant options, from the excellent value Nautilus, located in a small square just behind the seafront, to one of the front-line establishments where prices may be a little higher but are outshone by the delightful views out over the turquoise waters. Portugal’s extensive coastline mean that fish and seafood have featured strongly amongst favourite national foods throughout the centuries and this tradition continues today. Freshly caught bream, sea bass and swordfish are particular favourites while lobster, crab and juicy prawns abound. Try a sopa de marisco (Portuguese seafood soup) or large plate of freshly grilled prawns splashed in lemon juice and a touch of garlic. 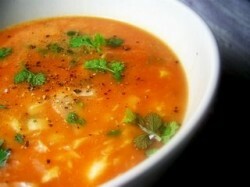 To experience the most famous Portuguese seafood, opt for a bowl of clams poached in a tasty fish stock. Divine. Take some time to explore the local beaches or simply relax on a sun lounger before heading back to Sintra in the late afternoon. Resist the temptation to take a siesta and head out for a evening food and opt instead to try one of the town’s tea rooms for a typically Portuguese early evening experience. Sintra has several tea rooms offering a wide selection of teas from all over the world, from fruits to flowers to traditional Indian and far eastern varieties, perfect for eating with a slice of freshly baked cake or a plate of queijadas, Sintra’s very own version of the unique sweet treats that have been loved by generation upon generation in this rich and magical city.